MDO offer inception to completion services on work place fit-out projects of any size. We provide building search assistance; due diligence studies; develop occupancy scenarios; consolidations and reorganizations; and optimization strategies; floor plate testing and re-stacking; space planning; interior design/delivery and relocation guidance and transition delivery. The key concept and challenges of the dynamic design were to respect and preserve the significant cultural, religious, historical and architectural heritage of the church and its ancillary buildings whilst meeting the client’s requirements for a new innovative and sustainable office extension. Following on from creating a new Heineken offices in Dublin, MDO were asked to look at the refurbishment of the Malt House. This involved a full assessment of the building from both a workplace strategy and conservation viewpoint. MDO's new office for Square first Dublin office combines design that sits within their design ethos alongside stringent security requirements required for a financial payments company. 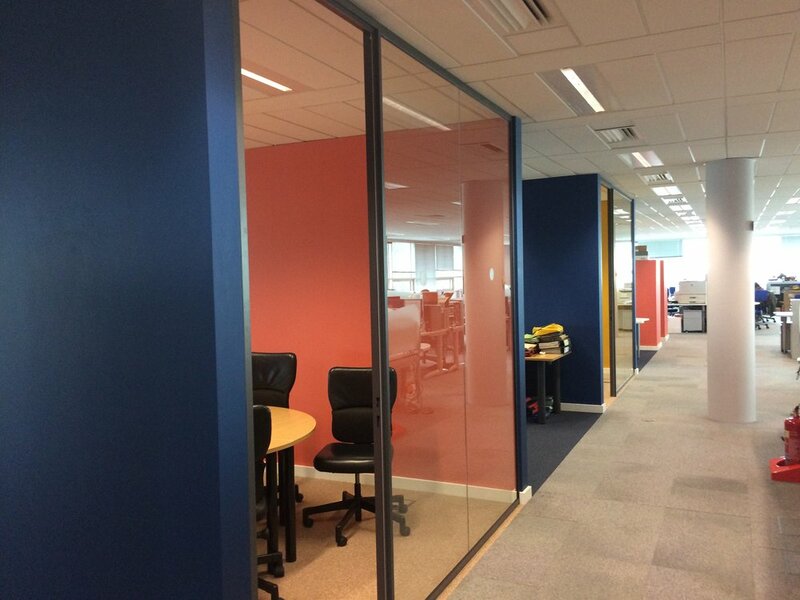 Refurbishment of an existing office to create a dynamic new HQ office in Dublin for Heineken Ireland. 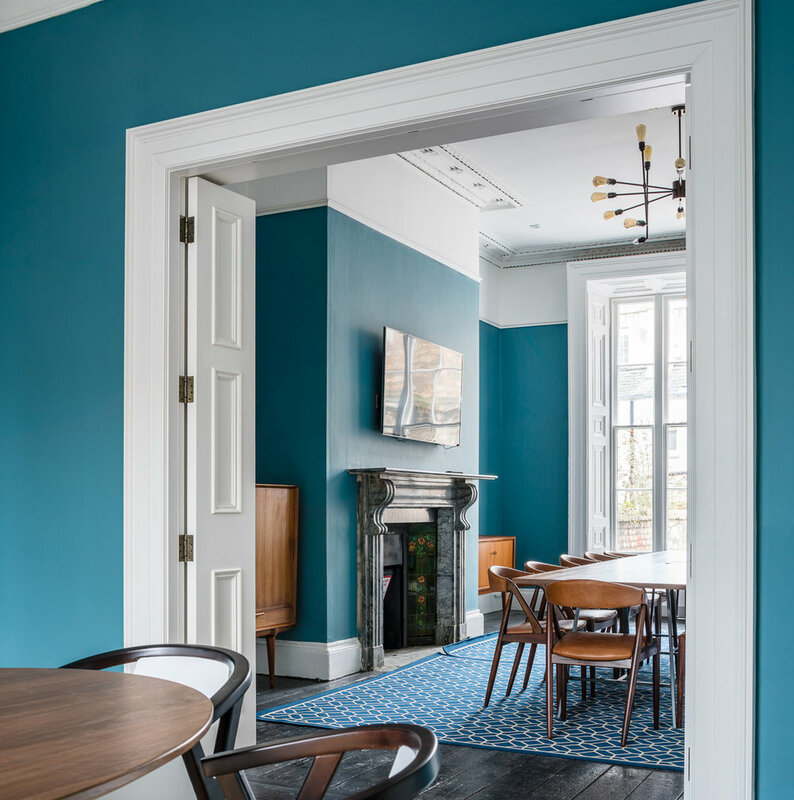 Highly commended in the 2015 RIAI Interior Design and Fit-Out awards and nominated for the 'Small Office of the Year' at the 2015 Internal Design and Fit-Out Awards. The fit-out of 16,000sqft for 140 staff new Irish headquarters for Royal Bank of Canada Treasury & Investor Services in Dublin's city center. The specification and quality of the landlord fit-out of the shell & core areas of the Grand Canal Square Offices set a new standard for offices in the Dublin Docklands. 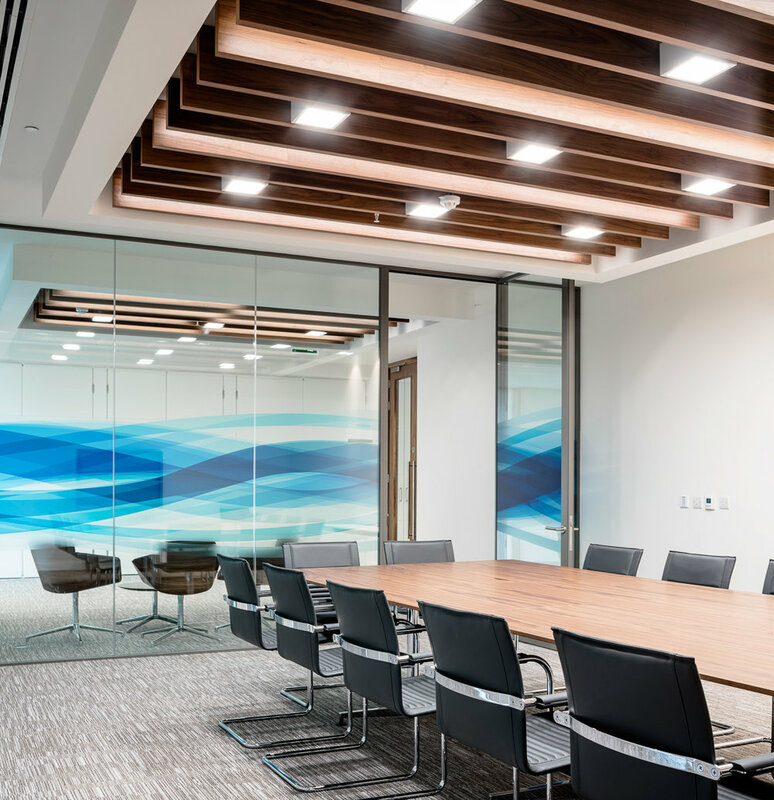 Astellas Pharma Co. Ltd asked McCauley Daye O’Connell to upgrade their Dublin offices in Blanchardstown to re-position the design with a modernised interior befitting of a leading global pharmaceutical company. 14 Herbert Street is an existing Georgian House which is being refurbished to become the new HQ of Hume Brophy, an international communications company. The brief was to reorganise existing offices and call centre, create a new entrance to the building and extend the call centre into an adjacent warehouse. New facilities include an expansive canteen area to accommodate up to 1000 people. Refurbishment of Indeed's Dublin office to provide temporary space whilst the new head quarters is being constructed on St Stephens Green. The project comprises a mix of open plan and break out spaces along with support facilities. 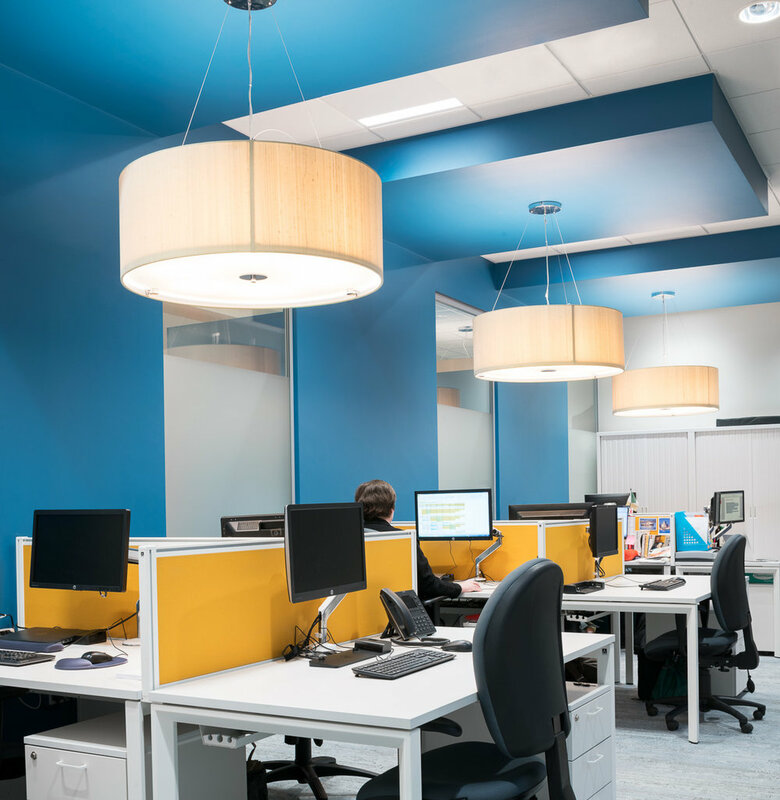 The RCSI Student Wellbeing and Engagement Office Project is a 120sqm office refurbishment project located in 123 St. Stephen’s Green, RCSI’s main educational building in Dublin City Centre. Indeed's London office, in a former factory building restored by Derwent, takes advantage of the long linear space to position breakout areas and meeting rooms along the windows. The proposal for this semi-state body’s office space was to shift the work environment from cellular cubicles to a workspace that offered a balance between both privacy and facilitated an open and connected work place. No. 2 Grand Canal Square Offices completes one of the last segments of the development of Grand Canal Square and are located to the south of the new 2000 seat theatre designed by Daniel Libeskind. MDO were asked by Friends First to look at their 30,000sqft office with a view to making a significant impact on a workplace that had become tired and dated. The introduction of the strong bright colours associated with the Yapstone branding was a key element in refreshing the space. 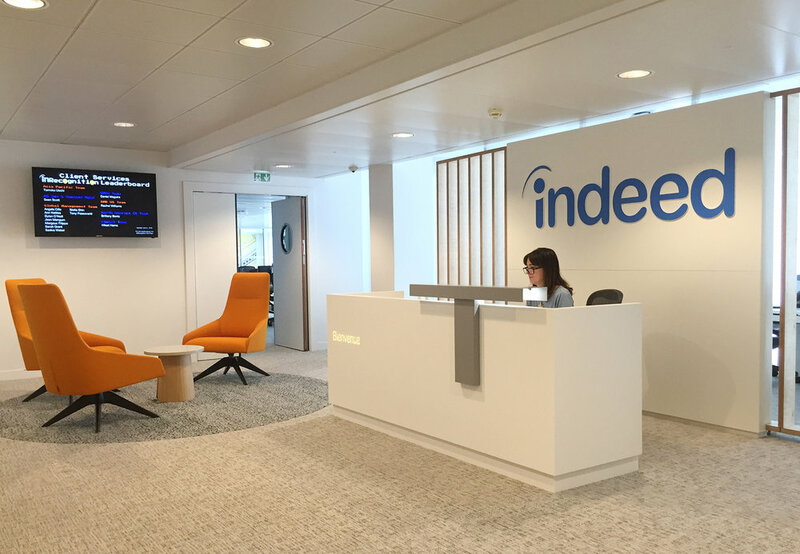 Following on from working on Indeed's Dublin EMEA headquarters and London offices MDO designed Indeed's Paris office. MDO designed Indeed's new office for 180 staff in Dusseldorf. The office consists of three floors of reception, break-out areas, open plan desking, meeting rooms, phone booths, tea stations and canteen. Hargate Corporate Interiors were contracted to procure the fit-out of the new offices as Design Build Contractors by Capita. McCauley Daye O’Connell Architects were appointed by Hargate to provide Architectural Services for the fit out. 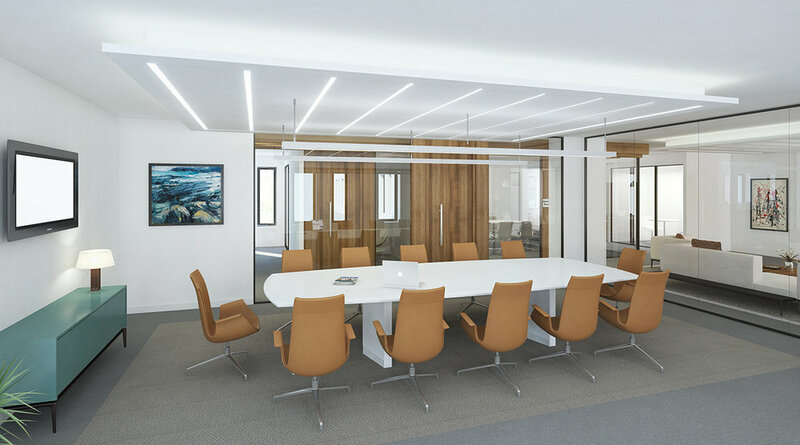 MDO were appointed for the Design and Project Management of the Internal Fit-Out Works for the Royal College of Surgeons in Ireland at their Textile House Offices.